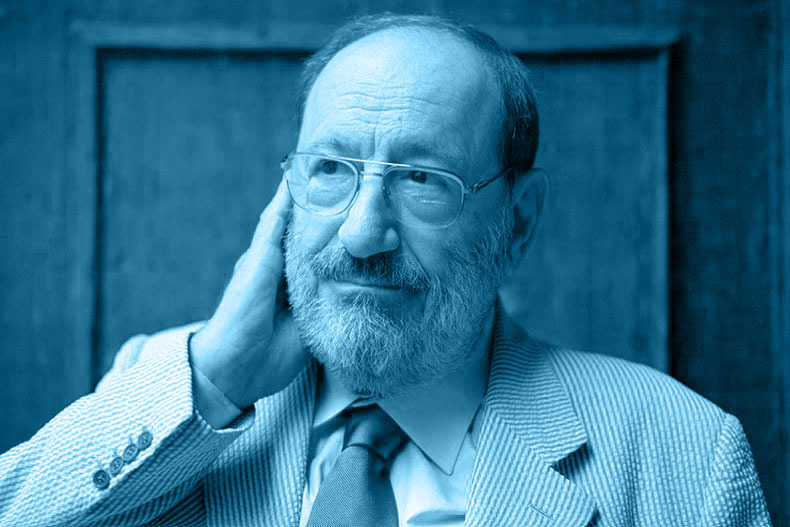 So… what do we know about Umberto Eco? A bit like our own Mr Blackwell, in that his novels are capable of all sorts of complex meanings while on the surface being straightforward (e.g. as thrillers/detective stories etc). They are also frequently very funny. For cruciverbalists, very satisfactory word puzzle in ‘The Name Of The Rose’. Didn’t some TV builder fella build a house for him?